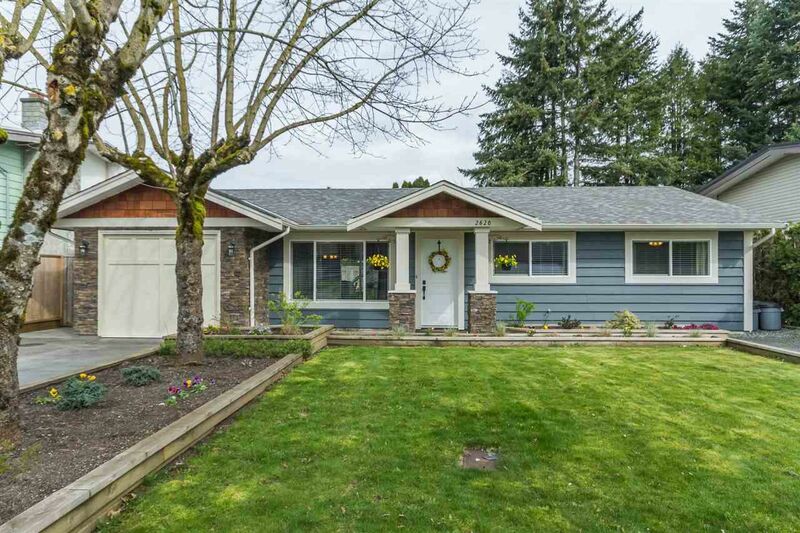 Immaculately kept Rancher in the McMillan area, one of East Abbotsford's most sought after neighborhood's. There's nothing to do here, over the 10 years these owners have owned the home nearly everything has been done inside and out. From the attractive curb appeal to the well layed out floor plan with spacious open living room/ kitchen area to the large flat fully fenced yard this home will impress. Other bonus features include: 2 storage shed's, extra storage in the attic, RV parking, and wired for surround sound in the living room. A short walk to the Abbotsford Recreation Center and shopping with all level of schools close by.